Mercedes announce S500 Plug-in Hybrid pricing | What Car? The Mercedes-Benz S500 Plug-in Hybrid will cost £87,965 when UK deliveries start this November. With CO2 emissions of just 65g/km, a 40% tax payer will pay £1758 per year in company car tax, qualify for free road tax, and be exempt from the London Congestion Charge Zone. 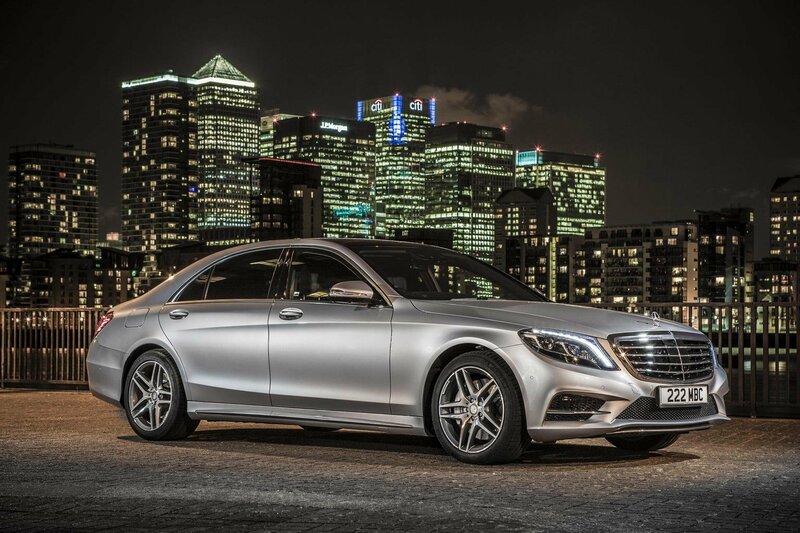 Mercedes also claim that the S500 Plug-In Hybrid will average up to 100.9mpg. The new model is the third hybrid to join the S-Class range, alongside the existing S300 Bluetec Hybrid and S400 Hybrid. However, the S500 is the first version that can be charged externally. A full charge from a domestic supply should take around two hours and give the car an electric-only range of around 20 miles. Although efficiency will be the main draw for potential owners, the plug-in S500 will still deliver decent performance figures. With a total of 436bhp available – 328bhp from the V6 bi-turbo petrol engine and 114bhp from the electric motor – and up to 479lb ft of torque, the hybrid will accelerate to 62mph in 5.2seconds and go on to a limited top speed of 155mph. The new S500 also gets plenty of tech, including the Comand system. This allows the car to use GPS to predict downhill sections and achieve maximum energy recuperation, as well as store as much electrical energy as possible before entering built-up areas. It can even send a pulse through the accelerator pedal to advise drivers to back off and allow the petrol engine to shut down, to increase efficiency. Owners can also connect to the car via a tablet or smartphone app. As well as being able to view up-to-date information on the car’s charge status, available range and service schedule, they will also be able to select remotely the interior temperature prior to arriving at the car. The S500 Plug-in Hybrid, being based on the long wheelbase S500 AMG Line, comes similarly specified with 19-inch AMG wheels, AMG body kit, intelligent LED headlights, Comand Online connectivity, noise insulating glass and memory front seats.